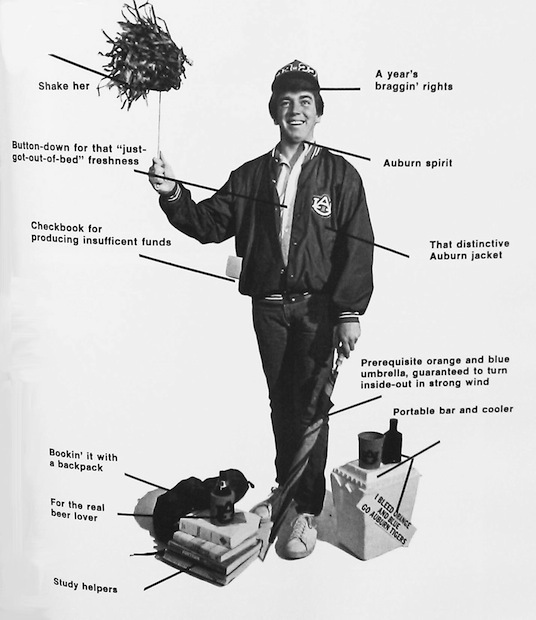 Fashion features were go-to page fillers for the Glom as the plaid of the 70s slipped into 80s denim or whatever, but this two-page spread in the 1983 edition labeled “A COMPOSITE STUDENT: An (Un-?) 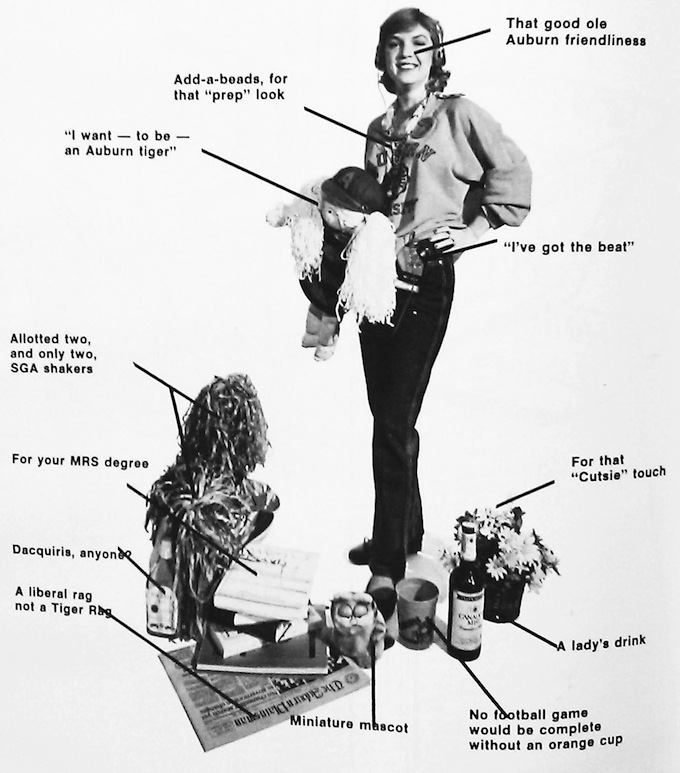 Typical Look at Auburn’s Student Bodies” was the first to actually diagram the his ‘n’ her style of Auburn Student Spirit(s). Related: Auburn Student Housing Stereotypes from 1991. The 1983 Auburn Woman (still?) drank(s) Canadian Mist? I’d like to shake her hand. sony walkman 1983…what will the ipod be in 30 years? Implantable wifi brain chip? Could barely make out that cabbage patch kid. Reminds me of the boy knockoff garbage pail kids. Those were some hot trading cards in elementary school! I don’t think I looked exactly like that guy in 1983, but I was damn close – right down to the orange and blue umbrella.